Welcome to What Meegan Makes today. 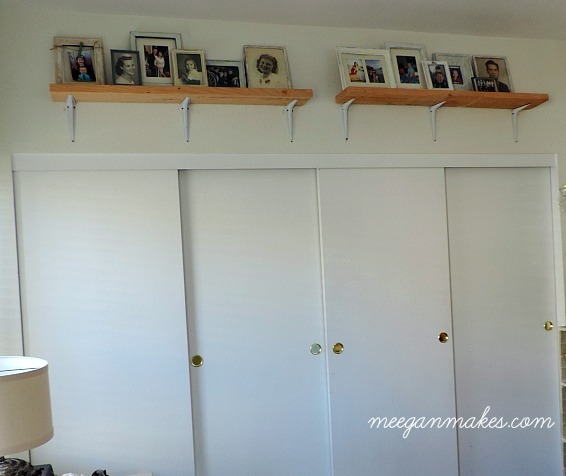 I have a simple solution to an open space above a closet area-EASY Rustic Shelving. 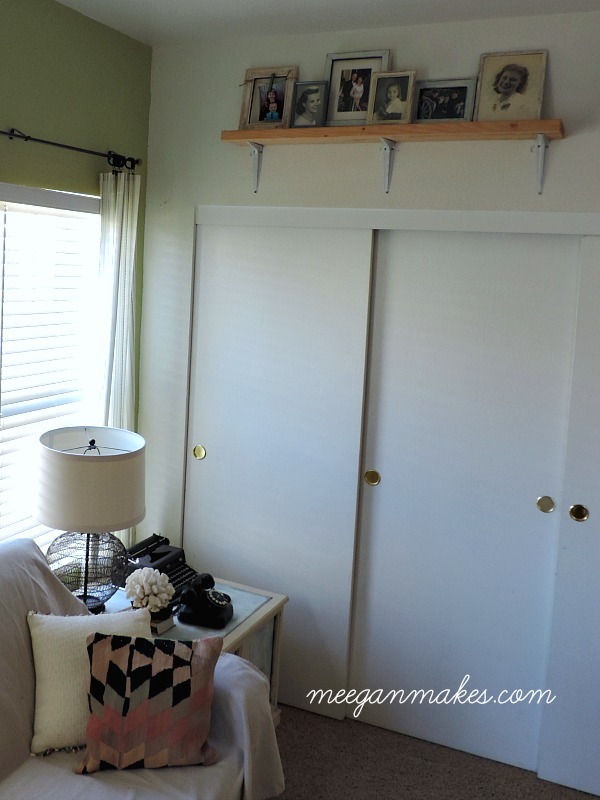 We use our extra bedroom as an office/TV room/storage space, and yet, I want it to be inviting for visitors and guests. It has taken me awhile to figure out what would work best in this space. 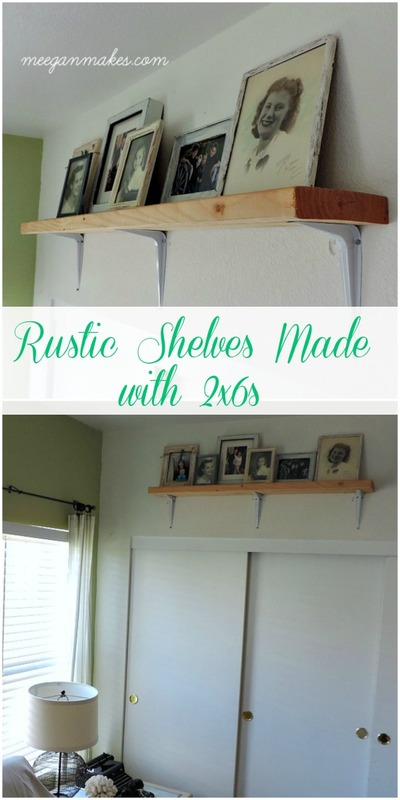 It is: EASY Rustic Shelving. Having a family of seven children and twenty four grand-babies, we have A LOT of pictures. We also enjoy sharing our family history with the grand-babies. I headed over to Lowe’s and browsed through shelving ideas. I did this several times. It took me a few trips to finally decide what I really wanted. 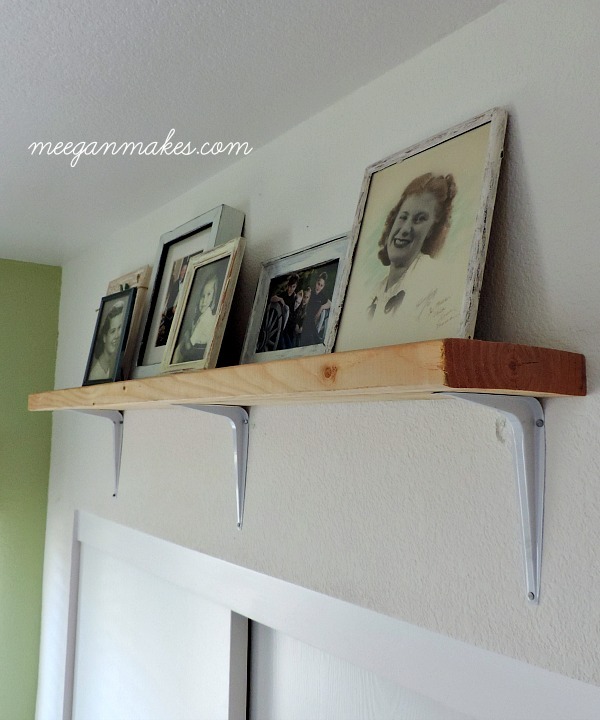 My solution is: EASY Rustic Shelving. I bought a 2x6x12. I asked the worker to cut it exactly in half for me. So I came home with 2-2x6x6s and 6 white brackets. Perfect for my needs above my wall length closet. With simple white brackets I was able to rest my 2x6s as shelves. They definitely are sturdy and exactly what I was needing to fill this space. I measured and used a level to make sure each shelf was straight and at the same height as the other. 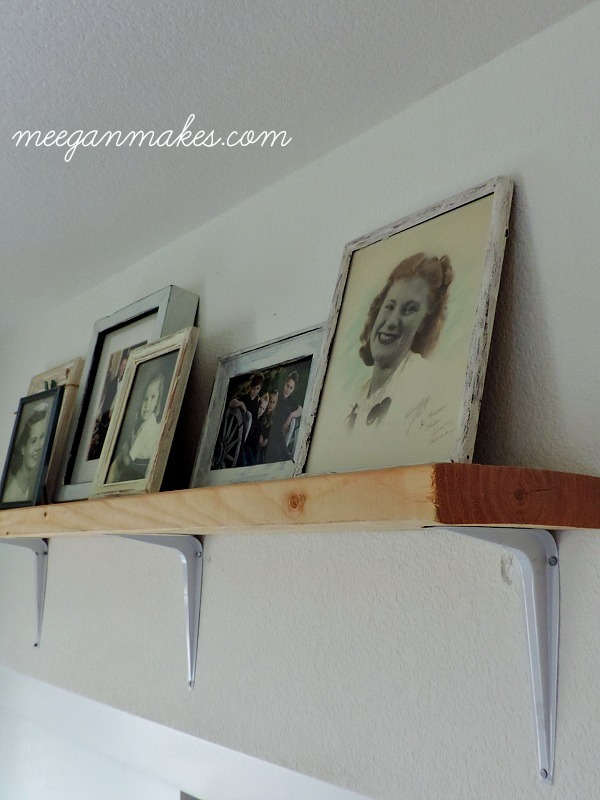 Thanks for stopping by and letting me share my EASY Rustic Shelving and ideas with you. It is always a treat to have you here. 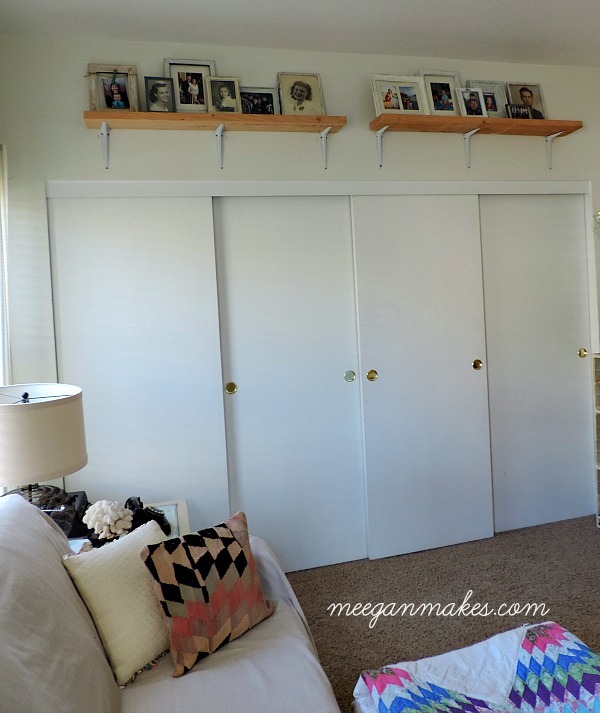 I’ve been into raw unpainted or stained wood lately too! It is a refreshing look, isn’t it?